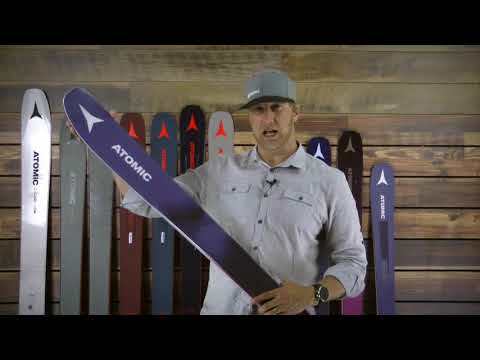 The Atomic Backland 102 W is an easy-going powder ski that's also versatile enough to deliver top performance on hard pack. Backland 102 W is the thinner model of our two freeride powder chargers for women. With a Light Woodcore and Powder Rocker in the tip and tail for awesome floatation, it's a great lightweight powder piece that looks as good as it feels. It's also seriously versatile - the Cap Sidewall, pronounced camber underfoot, and a wide 102mm waist means it handles the groomers no problem.